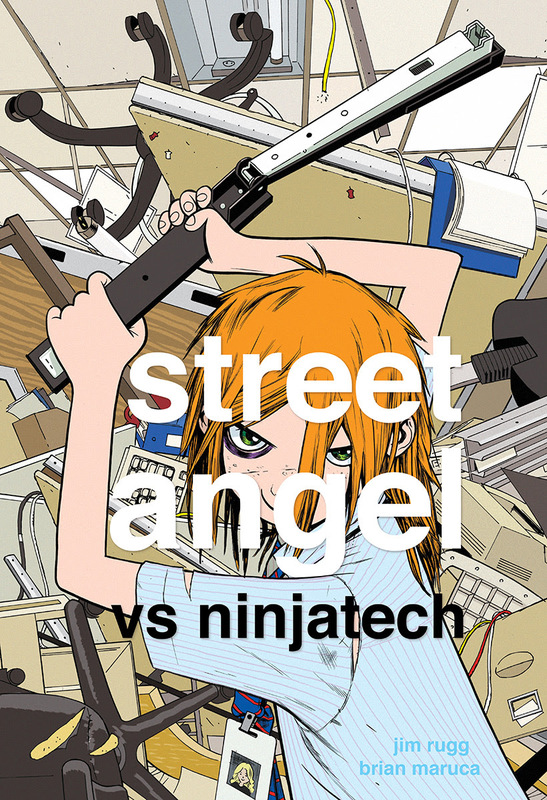 Home » ALL ELSE » Street Angel returns, taking on the Ninja Industrial Complex this Fall! The Eisner Award-winning team of Jim Rugg (Afrodisiac, The Plain Janes) and Brian Maruca (Afrodisiac) will release Street Angel vs. Ninjatech—a brand-new tale starring your favorite homeless heroine, Jesse Sanchez—this November from Image Comics. Street Angel vs. Ninjatech (hardcover format) will hit comic book stores on Wednesday, November 7th, and bookstores on Tuesday, November 13th.